One of Properly’s most helpful features for property managers is the ability to schedule cleaning and maintenance jobs with their service providers using the Properly app. Properly is by far the quickest and easiest way to reach out to your service providers and determine whether they’re available to take on a job for a particular property. All of the property’s details and its checklists for cleaning are already included in the app, and when your service provider has the Properly app, they’ll get your job requests in real time. 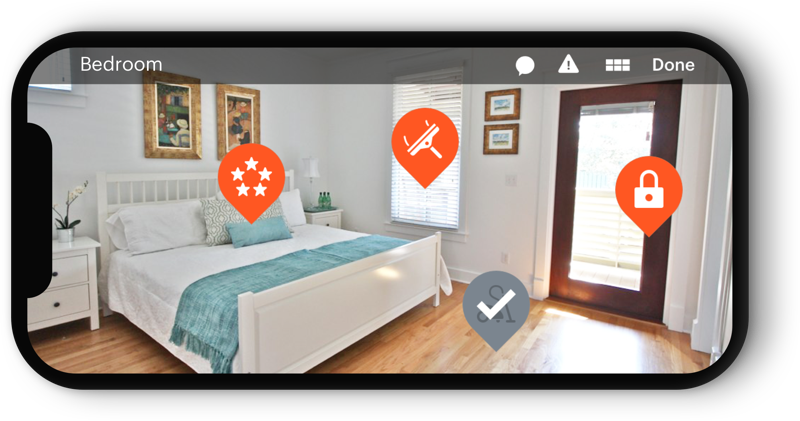 Properly helps you set clear expectations for your service providers, manage the jobs you need for each property in one location, and assess whether your properties are prepared for your next guests in real time. Properly is completely free for service providers to use, and it makes almost every aspect of their job easier. Your service providers can preview your job request’s important details like the time and date of the job, what tasks are required, and where the job is located before they accept or decline the job. This makes it easy for your service provider to check that they are able to deliver exactly what’s required. When your service provider arrives on location for the job, they’ll tap Start Job in the Properly app, which begins recording the time it takes them to complete a clean. Your service provider will tap each task they complete as they go through your checklist, and you’ll be able to see how many tasks remain in real time. 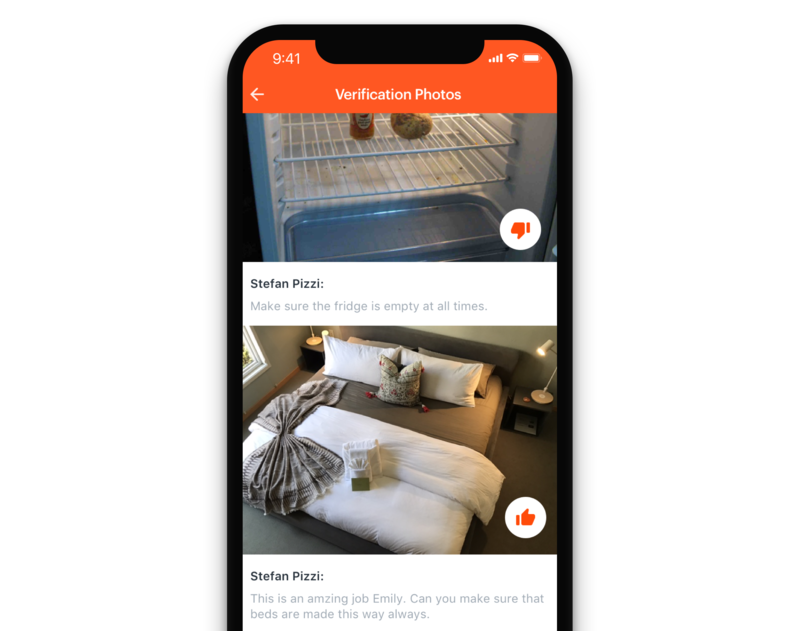 Service providers can then use the Properly app to send any pictures you’ve requested and show you any damage or problems they’ve run into at the property. 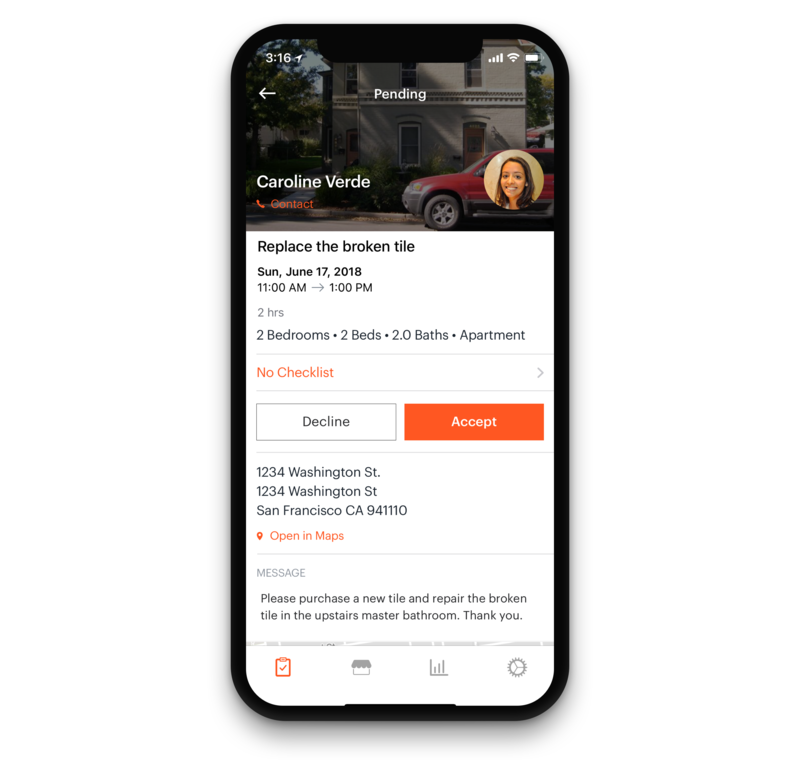 They can also send you questions and receive feedback from you right in the app, making it easy to incorporate that feedback for the next job at that property. Do service providers like using Properly? They do! One of the biggest frustrations for service providers is not having a clear idea of what their client wants. The Properly app not only makes it easier for them to keep track of their service schedule, it ensures there are clear expectations for every single job. It’s easy to use, prevents mistakes, and helps service providers develop a relationship of trust with their clients. You can invite as many cleaners and service providers to use Properly with you as you wish. Start on the Contacts tab. 1. Click on an Invite Service Provider button. 2. Enter the service provider’s contact information. Note: We recommend you reach out to your service provider and let them know they will receive an invitation to use Properly. Explain that you are using Properly to make scheduling simpler and to share your specific cleaning instructions with them. They can find more information about the benefits of Properly for service providers here and watch tutorial videos here. Once your cleaner or service provider accepts your invitation and creates a Properly account, you can begin sending them jobs.